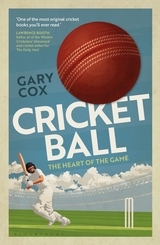 I would love to have been a fly on the wall when author Gary Cox pitched (pun intended) the idea of writing an entire book on a cricket ball. Cox is an academic with a fondness for philosophy, so his delivery (pun intended) may have been different to say the least. Well, however it came about; I for one am glad Bloomsbury published this book. Cox’s style of writing is ideally suited for his subject. A scholarly approach but with an eye for the amusing and absurd, he takes his reader through almost every conceivable topic that involves the cricket ball. We learn about the making of a cricket ball, which has a surprisingly interesting history, and there is even a side discussion to explain the difference between the swing of the pink and red cricket ball, although this discourse may not be of interest to all but the cricket nerd (I thoroughly enjoyed it). The story of the hat-trick is also an interesting one and is done full justice in the book. There are some random topics that allow the reader to visit interesting cricketing moments such as Garry Sobers hitting six consecutive sixes. And although the feat has since been repeated, Sobers did it before even mishits travel 15 rows back with the modern bats. We follow the story of the ball that was smashed by Sobers, and sold in an auction by Christie’s. In the end the ball sold was apparently fake, although Christie’s maintain it is the genuine article. In the end, we learn that the bat Sobers used was sold in auction for over £54,000 . We are reminded that the cricket ball is a hard object and in the hands of an express bowler can be a dangerous thing. Cox takes us through some of the deaths in cricket from being struck by a ball, or inadvertently caused by a ball. Cox provides some interesting medical evidence of the injury suffered by Phillip Hughes, which really makes you realise just how unlucky the young batting star was. One of the most interesting sections is that on ball tampering, and the author brings a common sense and logical perspective to the recent Aussie sand paper cheating controversy. As Cox writes it was “hardly [the] crime of the century”. Cox also writes that at least former Aussie captain Greg Chappell was relieved that there was now a new infamous cricket incident, and that the notorious underarm delivery which he asked brother Trevor to bowl back in 1981 was no longer the most searched controversy on the internet. Cox quotes a lot of sources including some of the greatest writers known to the game; Gideon Haigh, C.L.R. James and Sir Neville Cardus. He quotes these great writers judiciously and they materially enrich the story of the cricket ball. So in the end we should take our hats off to Bloomsbury for giving us this little book on the cricket ball, which should be read by all cricket fans. Hopefully Gary Cox, will write a sequel featuring the cricket bat, I can guarantee him at least one sale.